The NAB conference is packed with thousands of new products for the online video industry. This year, the editors and writers of StreamingMedia.com selected their top five to honor with inaugural Best of NAB Awards. There were no categories for the Streaming Media’s Best of NAB Awards. 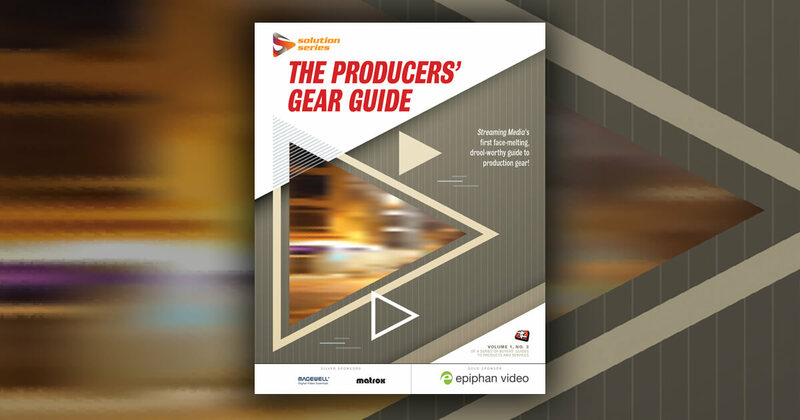 Instead, the editors and writers selected the five new products they found most impressive, and that promised to do the most to push the online video industry forward in the year ahead. The Wednesday afternoon awards presentation was streamed live by Teradek and featured on the front page of this site. 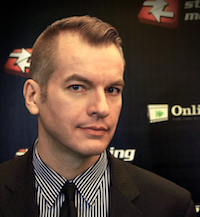 StreamingMedia.com editor Eric Schumacher-Rasmussen interviewed representatives from four of the five winning products. Adobe Primetime: A comprehensive platform that lets broadcasters stream their content online and monetize it. Canon XA25: A camcorder with impressive Wi-Fi features and an attractive price. Envivio Halo Experience Server: A way for cable and satellite operators to offer customers far more online features, without a large capital investment. Matrox Monarch HD: A small appliance that brings together recording and streaming from an HDMI input, controllable from any device with a web browser. StudioCoast vMix: Mixing software for HD and SD video at a low price. “For Adobe, we’re content to help companies with digital transformations, and with Adobe Primetime we are well positioned to do that in the broadcast industry. We want to thank Streaming Media for recognizing the advancement Adobe is making with Primetime,” said Jeremy Helfand, vice president of monetization for Adobe. “We’re very honored to have won the award, especially in the space of video streaming. Distribution to multiscreen is our core focus, so we’re extremely happy to be recognized,” said Boris Felts, vice president of product marketing for Envivio. “This is our first year at NAB, so it’s very exciting to have our software recognized,” said Martin Sinclair, a developer for StudioCoast. “We’re very happy to be recognized by Streaming Media for our Monarch HD. Being recognized by such a publication vindicates the efforts we’ve put into it,” said Daniel Maloney, technical marketing manager for Matrox. Eric Schumacher-Rasmussen interviewing Jeremy Helfand of Adobe. We walked hundreds of miles of conference floors and watched scores of demos to determine the best streaming video products from this year's show. Announcing the six standout products from the thousands of new offerings at the 2015 National Association of Broadcasters conference. 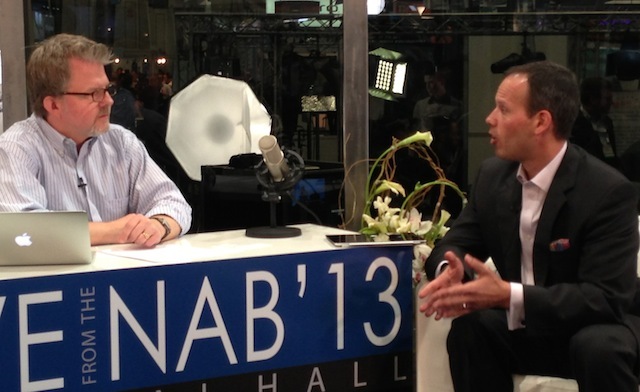 Will your company be making news at NAB 2015? Do you want Streaming Media to consider your new product or service for our annual Best of NAB awards? Read on to find out how to make sure you're in the running. It was a great conference for 4K, HEVC, end-to-end solutions, and five especially impressive new products and services. Long a work in progress, Adobe Primetime is finally ready for business. Comcast and NBC Sports are the first customers. Operators can deliver more personalized multiscreen video services, says Envivio, while streaming more targeted ads.